Best Buy is your headquarters for all things technology. With plenty of products in stock and expert staff to help guide you, you can’t go wrong with a visit to Best Buy. 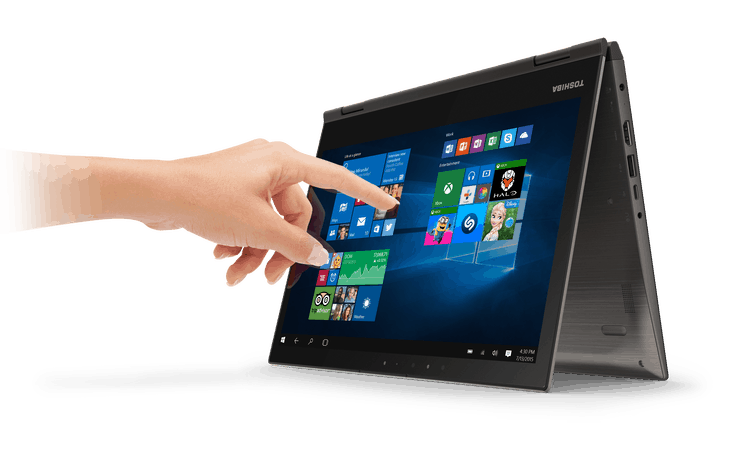 One of the products I am most excited about this holiday season is the Toshiba Satellite Radius 12 laptop. The first thing that jumped out at me is that this laptop is made to specially work with the new release of Windows 10. Also, the screen looks amazing. It is a sleek and manageable 12.5” with a 360-degree precision hinge, which enables five different viewing modes. This makes it the perfect laptop for projects and sharing content with others in your group. The fact that the screen itself is made with damage resistant Gorilla Glass makes it a great to pass around the table during meetings worry-free. The screen is a ultra High Definition touch screen that is ideal for any situation; especially content creators, photographers and videographers. Editing media is a breeze with this laptop due to it’s certified Technicolor wide gamut RGB display. Whatever you shoot with camera will be displayed with the same color and fidelity so you always know exactly what you are working with. It is one of the first small screen PC’s to have facial authentication using Windows Hello. This makes logging in even easier and secure. What about the guts of this laptop? It is also one of the first Windows laptops to run on the 6th generation Intel Core i7 processor. It has a 8GB memory with high-bandwidth RAM to handle all your games and editing tasks. If you are a multitasker, with several applications open at once, then this is the computer for you! If you are always on the go and need something durable and portable, then at only 2.9 lbs. and 0.61” thin, this is the computer for you! If you have been waiting for product to come along to update your laptop, this is the computer for you! If you are looking for the perfect gift this Holiday Season for a loved one, this is the computer for you! 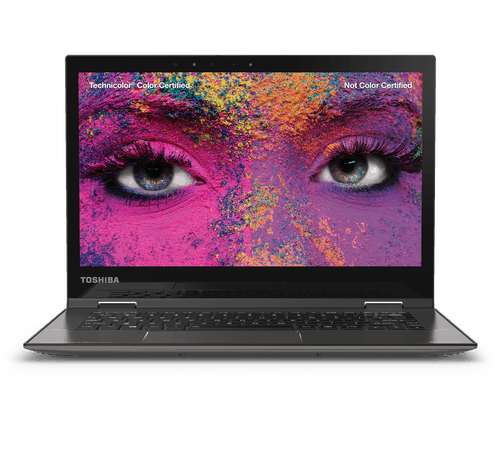 The Toshiba Satellite Radius 12 laptop is available at Best Buy right now. Head to Best Buy as soon as possible and ask the staff to give you a tour and prepare to be wowed!